Collaboration is the golden word, but how do you get everyone working in harmony to do the best for the client, asks the founder of Sunday Dinner. As marketers grow agency rosters and internal teams to support their burgeoning content needs, new questions are emerging: "How do I get the best from these partners? How do I enable them to collaborate? Am I activating the right partners at the right time?" With investments in digital and content seeing huge growth, putting these strategies in place is critical. There is no doubt these questions fall under the purview of the marketing team. As the CMO is more connected to the business than ever, the investment in agencies to drive the business is facing scrutiny to ensure the brand's broadening roster of partners deliver the best work and provide the most efficient usage of time. Enter the orchestrator. There is potentially no more important hire for a CMO to make in 2017. This is a support role emerging in response to the oft-cited unrest of agency-client relationships, the rise of content marketing, the divisiveness between roster agencies, and the ever-increasing issues of brand-side bandwidth issues. Let's look at this from the agency POV. If you have been an agency as a part of a brand roster in the past few years, you're told you need to collaborate. The golden word ... a dream of the best and brightest working in harmony, all to do what's best for their client. But as I always say, you can't just buy beautiful pieces of furniture and put them in a room. You need to hire an interior designer to move things around. Realize a vision of collaboration. And adjust as things get stale or new trends come into play. So as Tim Gunn says, you need someone to "make it work." I believe agencies are willing to collaborate. However they need to understand very clear roles and the way in which they are incentivized to partner. There is value in someone investing time in driving this. And that comes from the brand employing an orchestrator to foster and synchronize partnerships at just the right moments. 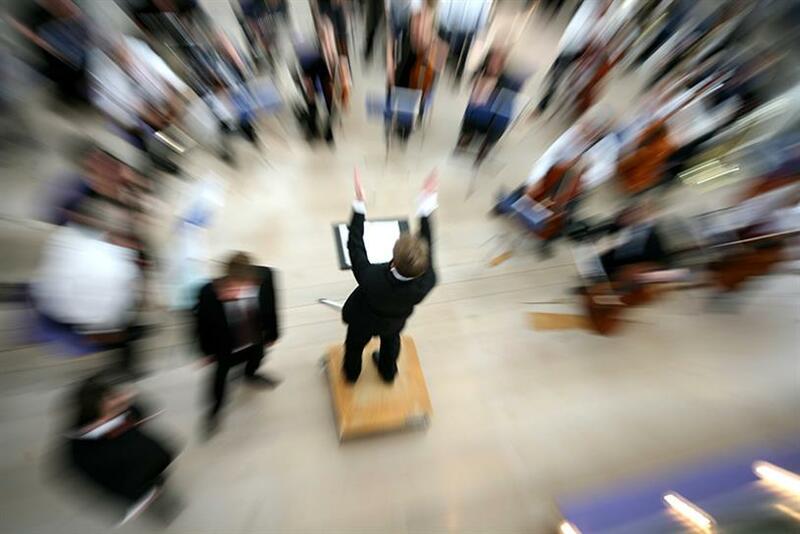 What does an orchestrator do? Manages resources: An orchestrator takes the lead on bringing out the best of your resources, both internal and external. They will design the process, cast the right people at the right moments, allocate budgets, and facilitate a working relationship. Casts talent: Multiple teams come together to build a great communications platform. If you think of your agency roster as a living organism that is a complex orchestration of a variety of types of teams, you will be a conductor who can provide direction in achieving great work for your brand. Establishes clarity: Make sure that partners on a project very clearly know the roles and scopes of other players. Scouts specialists: The more fragmented the marketing landscape, the more fragmented the set of specialist agencies. We've never had more agencies than we do today. As an orchestrator, you need to be tapped into these teams. Proactively go out there and scout. Catalog that data. Share it internally. Is the catalyst for sharing: How many times is agency X looking for the same info as agency Y? And the brand manager doesn't know if that data exists anywhere? Ninety-nine percent of the time, the same agencies are looking for the same insights, data, and access to tools. Socialize this information. Let agencies know the vast resources you have at the brand to support them. This alone can save millions in outsourced research costs and agency fees. Creates new formats for ideation: Get teams out of the conference room. Rent a house outside of a city and bring everyone together to collaborate on cracking a brief. It's the way great creativity should come to life. And with any new role, the CMO will need to provide feedback on value. The orchestrator can begin to evaluate through agency and internal tenure, partner feedback, top to tops, and, in the end, the quality of the work. Casting, organizing, orchestrating. This is an art. Assigning this as a role to someone in your company could be the most valued thing you can nail in 2017. If you can get bright minds working together for your business, you'll not only do the best work for your business, you'll strengthen the intellectual capital of your organization. —Lindsey Slaby is founder of strategic brand consultancy Sunday Dinner. Purpose. It's not just for millennials.